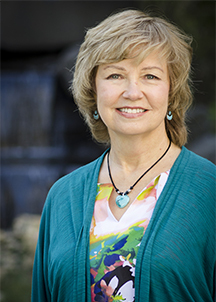 Dr. Pam Stover is Clinical Assistant Professor in the PMHNP Doctor of Nursing Practice program. She has many years of psychiatric nursing experience as an RN, a psychiatric clinical nurse specialist, a psychiatric nurse practitioner, and in management. She has a master’s degree in psychiatric nursing with a minor in psychology and education from OHSU, a post-master’s certificate in advanced practice Gerontological nursing, and a Doctor of Nursing Practice degree from the University of Colorado-Denver. She is certified as a psychiatric clinical specialist and as a psychiatric nurse practitioner. Her DNP capstone quality improvement project showed that better management of discharges from the psychiatric inpatient unit leads to a decrease in emergency department wait time for patients awaiting inpatient psychiatric admission. She is excited to share her wealth of clinical experience from inpatient, day hospital, outpatient, consultation & liaison, and integrated care environments with PMHNP DNP students. Stover, P. R. & Harpin, S. (2015). Decreasing psychiatric admission wait time in the emergency department by facilitating psychiatric discharges. Journal of Psychosocial Nursing and Mental Health Services, 53(12), 20 – 27.